At 8.15 am a tragic accident on the M62 which involved 3 lorries closed the motorway in both directions at Milnrow in Lancashire. Sadly,one driver is seriously injured. This has caused chaos on both sides of the Pennines. Here in Sowerby Bridge we always know when there’s problems on this section of the M62 as all the roads through the town & surrounding area become clogged with vehicles trying to find alternative routes. Today’s accident was a bad one. 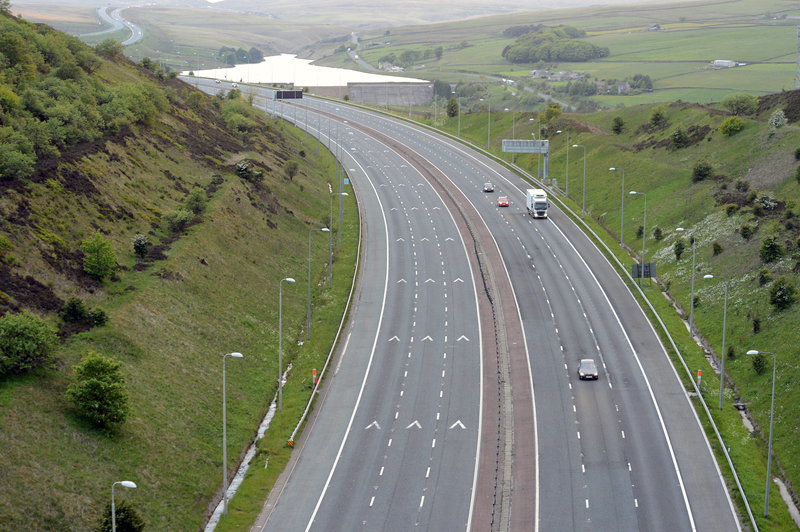 The M62 has been closed all day. 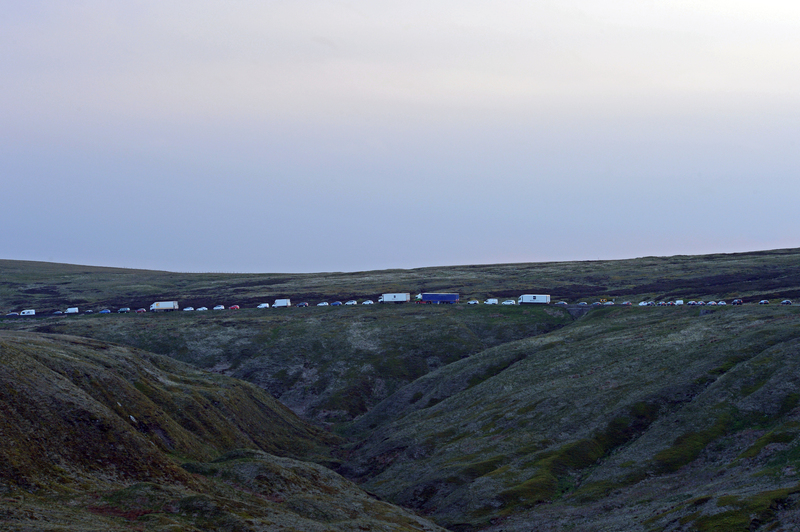 Late in the afternoon the Eastbound side was opened but the level of traffic is far below what the motorway normally carries – as you can see from the pictures I took at Scammonden at 21:05 this evening. 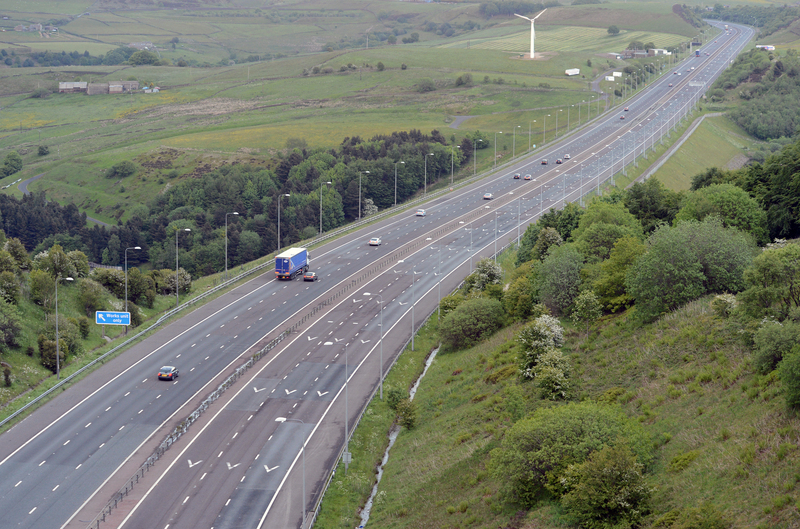 Meanwhile, high above the M62, diverted traffic was nose to tail on the A640. Clearly, many lorry drivers had run out of hours & had parked up wherever they could find space. Those with empty trailers left their back doors open to show would be thieves there was nothing worth stealing. The scenes reminded me of images of an army retreating in disarray after a crushing defeat. I swapped words with one or two of the drivers who didn’t know the area & wanted to know where they might park up or how far it was to the nearest pub. I couldn’t help but feel sorry for all these people, crawling along an A road at 10mph at best with no idea where they were or how long it would take them to get home. Today’s problems bring highlight the strategic importance of the M62 & the lack of viable alternatives. 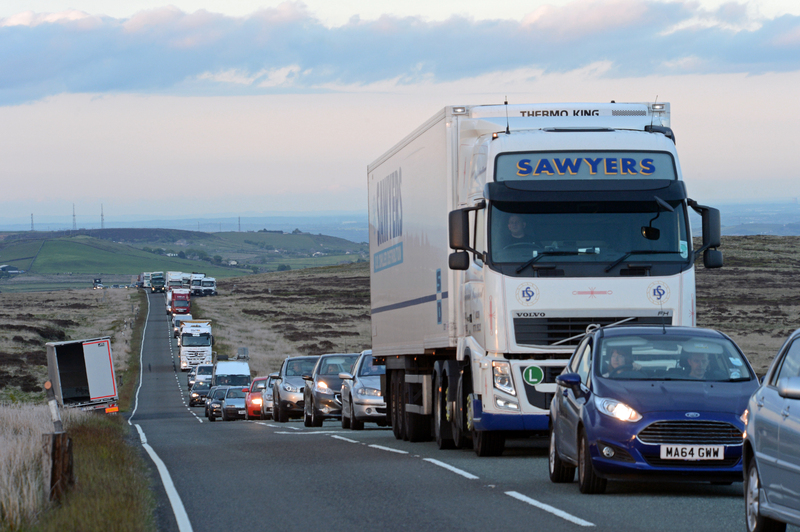 I’d hope the Governments commitment to the ‘Northern Powerhouse’ & development of better Trans-Pennine rail links will help shift traffic away from motorways like the M62 & see more freight transfer from road to rail.